Rob Kelly, the man who put the "aqua" in "Aquanet" (AKA The Aquaman Shrine), has birthed a stellar new project: Hey Kids, Comics!, a book of nostalgia essays contributed by a broad (hence my good fortune to be among them) range of people associated with comics. Each of us was asked to write about a formative moment in our personal comics history. I suspect some went the more analytical, character-building route, while I took a somewhat breezy approach, simply revisiting issues whose stories (or, in come cases, just covers) are anchored firmly in my head. 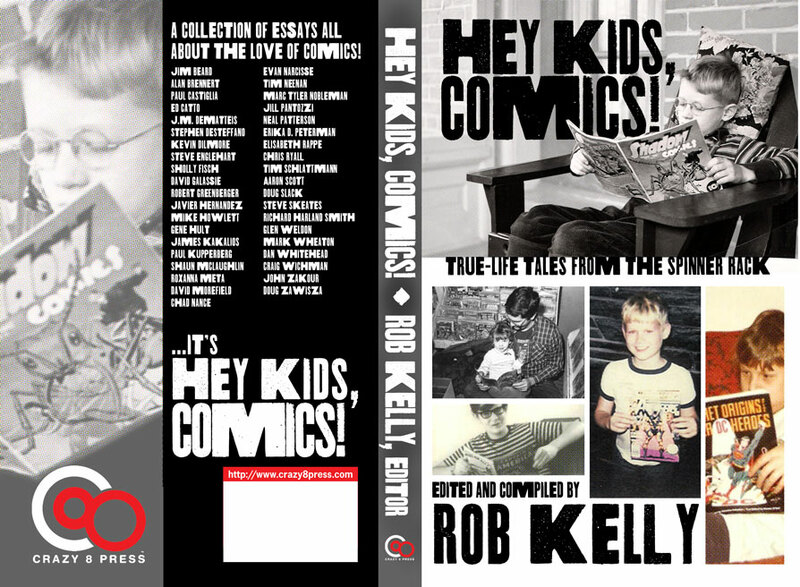 Please support Rob by checking out the book, which is available in both print and digital editions. It is a unique compilation, well done. Congrats, Rob, and thanks again for including me. Okay, I'll say it: "Outrageous!"